When Elmer Jansen was named Police Chief in 1947, one of his first priorities was to "modernize" the Police Department by dismantling an archaic decentralization systems with substations in East San Diego, Ocean Beach and La Jolla. He wanted his men in radio equipped squad cars in the field rather than sitting in armchairs at the substations. 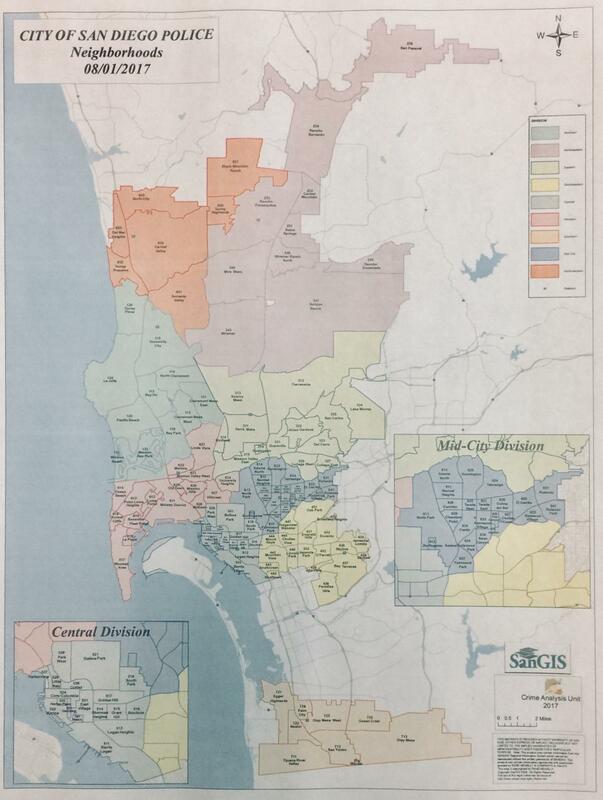 Tuesday, Mayor Pete Wilson will join Chief Bill Kolender in dedicating a site for the new Western Substation at 5480 Gaines Street, heralding the construction of a new decentralized system of seven police stations throughout the city after 10 years of study and debate. Jansen's bid for more efficiency and administrative control was a qualified success - the City Council closes the Ocean Beach and East San Diego stations over residents protests that the stations anchored community identity and deterred crime. La Jollans succeeded in preserving "our police station" until 1968 when it was replaced by the current Northern Division in University City. This feeling of community identity with the police force is a key reason why, in the next several months, Kolender hopes to have four of the proposed division stations operating from temporary facilities. This is expected to provide a more community oriented policing in this sprawling 392 square mile city. Another key reason is, again, efficiency. The current headquarters, crammed into a Spanish style quadrangle at 801 W. Market St., was built in 1939 to house 200 sworn officers plus personnel in five courtrooms and a small hospital. In 1957, the now familiar headline, "Police Hammered by Space Problems" appeared over a news account that the building was then the cramped workplace for 632 sworn and non-sworn personnel. The stations front lawn, the courtrooms, a gymnasium and a jail were converted, one-by-one, into office space for a growing department that reflected a burgeoning city. About 1100 department employees now use the building. Studies concluded that the crowded quarters reduced police efficiency. More important than overcrowding at headquarters is the efficiency of officers in the field. 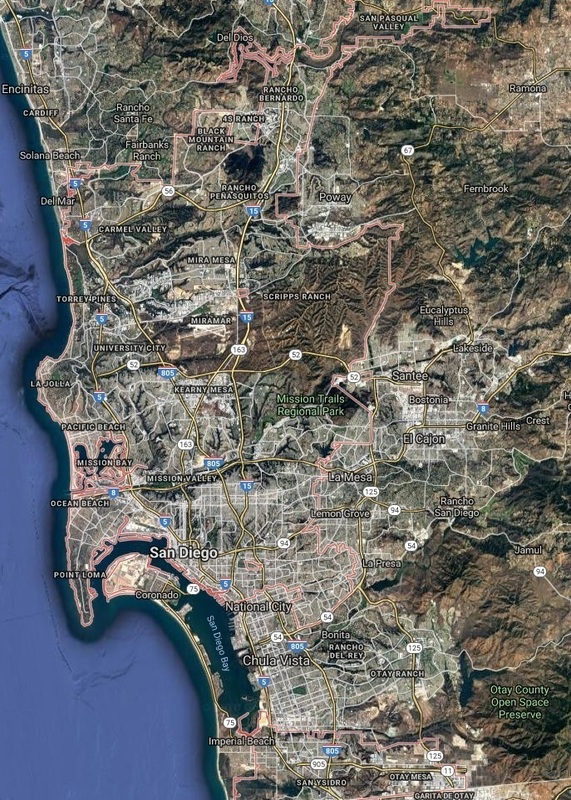 "Traditionally, the best time to rob a bank in San Diego is at shift change time" when officers must drive as far as 20 miles from far flung beats to return cars to headquarters and relieving officers must return to these beats, said Ken Fortier, who is in charge of the department's decentralization project. At times, this mass commuting effectively reduces the number of officers on patrol by half he added. Decentralization is nothing new. There are two current stations in San Ysidro and University City dating from 1962 and 1969 respectively. Nor will it be complete. Most of the department's officers will be working out of substations, although administrative, dispatching and investigative functions will remain centralized.